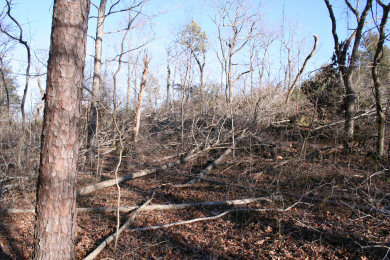 The right half of this photo has had a Forest Stand Improvement treatment, the left half has not. Note the difference in tree spacing, stem straightness and light reaching the forest floor. Forest Stand Improvement (a.k.a. 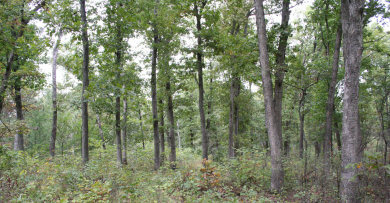 Timber Stand Improvement, or TSI), in short, is the process of reducing the density of living trees for the overall improvement of a given forest stand. 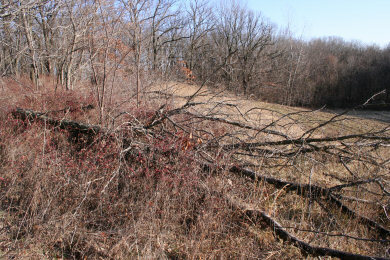 This thinning allows the remaining, or "crop", trees to thrive. 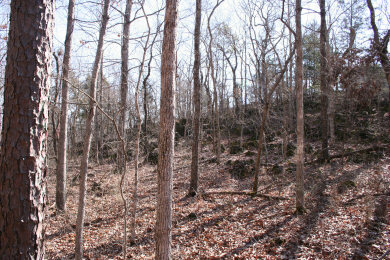 Glade area prior to renovation. 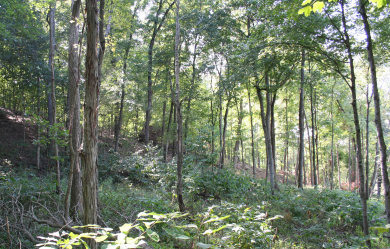 Glade area immediately following renovation. Ecosystem renovations typically involve returning an area to the type of ecosystem that it was when white men first arrived hundereds of years ago.  Timber Quality FSI is a Forest Stand Improvement treatement with a sole purpose of maximizing timber quality in every aspect in a given forest stand. 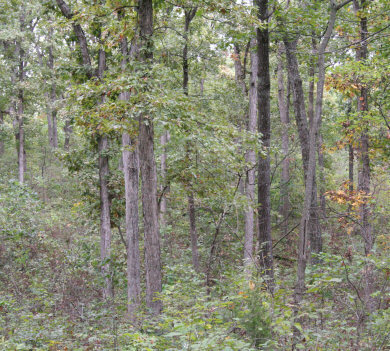 Wildlife specific FSI is a Forest Stand Improvement treatment in which the resulting stand will be maximized for the year-round benefit of the wildlife species in question, whether it be for all wildlife, or just a single species. Multi-Purpose FSI is a Forest Stand Improvement treatment in which trees are selected for both their value as timber trees, and their value to wildlife. This is by far the most common type of FSI treatment. A recently completed edge feathering. A 1-year old edge feathering. Note the abundance of woody shrubs and brambles that will provide year-round security cover. 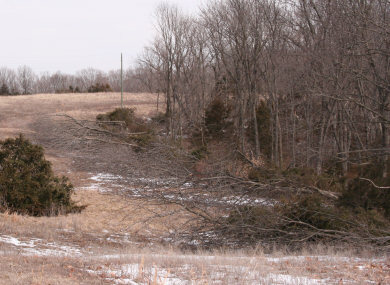 Edge feathering is a common type of FSI treatment in which all trees within 30 feet of the edge are felled out into the field. The area where they are to be felled will have already been sprayed to remove fescue and other non-wildlife friendly grasses, and allow woody shrubs and an abundance of annual weeds to thrive, creating excellent year-round security and thermal cover for quail and other small, ground dwelling animals.